That’s so all my friends would know who I was. This is all done by head, not by no book or no picture. I have never went to school to do this. No teacher has ever taught me nothing about it. My Uncle Joe was the first person that showed me. He started me off molding. But he never did make nothing but little mules and stuff like that. If my uncle had kept on he probably could do as good as me. But now I doubt whether he could make anything. He didn’t know what there was to it. After he quit, then I taken that trade up. I tried the same thing that he tried and I done pretty good on it, so I took it over. It wasn’t too hard to me to catch on. I just kept on trying until I got perfect on it. A lot of days I would be by myself and I’d walk two or three miles to get me some clay and I’d come back home and sit up by the ﬁreplace at night and make things until I got sleepy. I got where I could make mules, and rabbits, and squirrels, and things like that, and from that I went to making birds. See, this is a quail I made here. In Mississippi the white people didn’t want the colored people to eat no quail. See, they had more meat than other birds better meat. So I don’t care if you had a license for hunting, you couldn’t kill no quail and let it be known. You could kill blackbirds, but if you killed a quail, it was just like you done shot somebody. Well. I got better and better all the time on molding. The more you make, the more it’ll come to you what to do with anything. That was when I was a little-bitty boy going to school—I’d say about six years old. That’s how I got my school money. My grandmother and granddaddy would work a whole week for two dollars, so they wasn’t able to buy none of that stuff for me. So I made this sculpturing to buy me crayons, pencils, paper, and all like that. I’d sell the things that looked good enough around the neighborhood where we lived at. And so after I got grown I liked to be doing it, and I just kept going. The highest I ever sold when I was small, one day I sold some horses and I got three dollars for them. A fellow from Vicksburg was over at Eden and I had them horses in a box. I told him I made them. Well, that sounded big then, and I just handed him the whole box. So I would wind up making more than my grandmother and granddaddy and I was just sitting at the house sculpturing. You don’t never hardly hear nobody talking about being scared of spirits now. They ain’t got time to think of it. But a long time ago there was a whole lot of people would talk of spooks. White people would use the word ghosts. They say ghosts, and not spooks. I don’t know why there’s the separation in that. But right now the average person in Leland, if you go and talk with them they’ll say, “Oh, there ain’t no such thing as a ghost.” Some don’t believe in them. But I believe in ghosts. Of course, I work for a funeral home, but I don’t never let night catch me out. I always get through before night, or either wait and finish the next day. I make deers, rabbits, quails, fishes, skeleton heads, and solid heads. I make them out of gumbo clay. Some of it comes from the hills around the other side of Greenwood. It holds together just like the regular molding clay. I get some clay south of Leland, down at Black Bottom, too. The name of it really is black gumbo, but some people call it buckshot because it’s so sticky it takes a buck to run through it. It is sticky. I’ve known places where people raised chickens, and come a rain those little baby chickens they’d get stuck in that clay. It’d be all balled up under their feet. When it rains, I let the clay soak up the water. Sometimes I mix a little wax with it to help hold it together. It cracks open real bad if you work with it like it is. Then I put hair grease on there to smooth it down and get the wrinkles out of it. Like if I make something and I don’t want to work on it any more until tomorrow, I put me some towels across there and wet towels to keep it soft. But it don’t dry out too fast. Then after I get it worked out, I put putty on it. That’s for if it happens to crack, that putty would still be holding and you couldn’t see the crack, unlessen it got real bad. Well, I started painting them a long time ago. If I was making it for myself, I’d just paint it the first color I’d get to. It wouldn’t make me no difference. I’d use whatever I’d think would show up on there the best. You can paint them any. time. I wait until they’re dry and then paint them. Like this mallard, you paint the bill yellow, and then you would put green on the head to make it show up. Or you could paint the head and the body white. That shows up good, too. I get different colors of paint at the ten-cent store. I have gold I spray on sometimes, and beige, and white, and black. Things that show up, you know. But when I first started, I couldn’t get no paint. I would just let them dry. That hill clay, you could put it in the ﬁreplace and bake it. In the wintertime, I’d make me a dog or something out of clay and I’d throw it in the ﬁre and let it cook and turn red. Sometimes my granddaddy would go to put a stick of wood in there and I’d jerk it out real quick! He’d tell me, “Keep that mess out of the ﬁreplace. I can’t keep no wood in it.” Well, that sculpture of mine would get just like a brick and it would rattle too, you know. When I do my sculpturing work things just roll across my mind. Like I see a picture in a magazine or on television, and that’s what I’ll go by. Sometimes I may not get it direct, but I make it as far as I can remember on it. I look at the picture and get the future of it better. The future that means if I was going to make a man that looked just like you, that would recollect you. The futures come in dreams. The dreams just come to me. I lay down and dream about the sculpture, about how to ﬁx one of the heads, things like that. I’m liable to dream anything. That gives you in your head what to do. Then you get up and try. If you can’t hold it in your head, you can’t do it in your hand. I put match heads in there for the eyes. That’s in case you want to paint his eyes, so when it dries you can spot them. That way you’ll know the direct place where you want them at. You can just take the matches out and paint the eyes in there. The eyes should be clear and plain, just like a picture you take with a camera.” There is one thing I’d like to improve on and that’s the eyes. You have to draw your eyes in there before you can get them lined up. Your eyes are on a level with your ears. They can’t be a bit higher than your ears and they can’t be no lower. They got to be the same level your ears is and that’s why you don’t have no trouble making glasses. If some people’s eyes was down below their nose, they couldn’t get no glasses to ﬁt them. If I ever get the eyes just like I want to, I can make any kind of future. So I go back to where I done mashed up there with the eyes, and that’s automatic the nose. Then I build up on that. I cut the nose off then, to get the holes in the direct place. I use corn for teeth because I couldn’t think of nothing else. You know the reason I started cutting the corn oft‘? Because the first one I made, I noticed the teethes came out. They would move, you know. I checked on it then, that skull I had up there at Shelby’s [Shelby "Papa Jazz” Brown],"' and that corn was sprouting in there! That’s where I decided the next one I made, I would cut that com off to where it wouldn’t sprout. Then I got another idea. If it keeps on sprouting, I decided I’d try painting them teeth in there. I’d paint them white and get me some clear varnish so they’d shine. That thought come to me not too long ago. I hadn’t never given it a try yet. But I believe I could take something and cut some teeth in there. It might do a better job. I don’t know. When I get it worked out, I stand back and look at it, see, to see if I have it in shape. In working close, you can’t hardly tell about how it looks. You have to get off from it and look and see what shape you got it in. You have to see if you got it too large on one side, or not large enough. Then you level it up. You stand off from it to tell what you’ve done. It’s got to be even on each side, see. I don’t like to do my sculpturing all the time. It just hits me by spells. A spell will hit me and sometimes I can make them for half a day. Then I’ll get tired of that and be wanting to go somewhere or do something else. In the wintertime I’ll be sitting up and not doing nothing, so I’ll just sculpture a while and then quit. I don’t know what I’d make if I’d just steady at it all the time. But to do this you got to have patience. You got to feel like doing it. You can do a whole lot better when you don’t try to make too many. You just have to take your time. If I could get to a mountain where they have this clay like I use, I believe I could do me a whole man. I believe I could put a whole statue of a man standing up in that mountain. If the clay worked right, I could start at the head and come right down to the feets. I believe I could work a statue as big as a man. I believe I could make him just as tall as me or you if I could get the right height dirt where I was going to work at. That’s six foot high. Give me plenty of room to pull it all together and just make it in the bank and then put me some kind of paint on there to finish it up. I haven’t ever did it, but I believe I could do it. For a new exhibition launching at the National Gallery of Art, curator Lynne Cooke explores shifting conceptualizations of the American outlier across the 20th century, drawing on the inherent sociality of the exhibition in her installation of these works. This companion catalog, "Outliers and American Vanguard Art," offers a fantastic opportunity to consider works by schooled and self-taught creators in relation to each other and defined by historical circumstance. "James ‘Son Ford’ Thomas: The Devil and His Blues" accompanies the eponymous show at New York University’s 80WSE Gallery, the largest ever devoted to Thomas’ work. 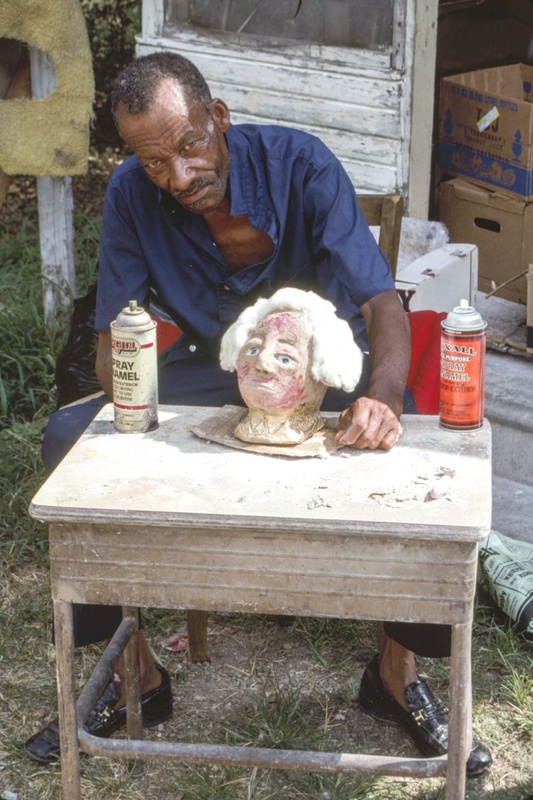 Thomas (1926–1993)―a self-taught African-American artist and musician who lived in severe poverty for most of his life―created small, often painted clay busts of friends and family and people he met. 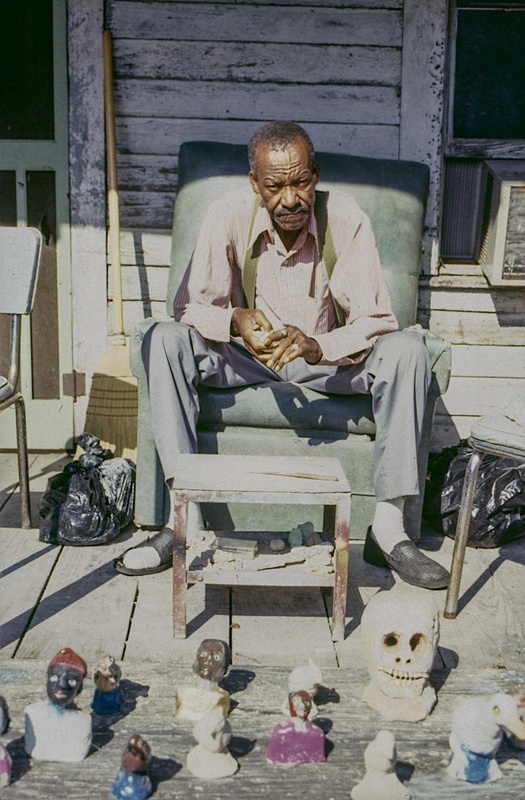 "When the Stars Begin to Fall: Imagination and the American South" queries the category of "outsider" art in relation to contemporary art and black life. The catalogue includes entries by Thomas J. Lax, along with leading scholars Horace Ballard, Katherine Jentleson, Scott Romine and Lowery Stokes Sims, who write on notions of spirituality, the ethics of self-taught art and the idea of the South in the American project. Completing the two-volume set, "Souls Grown Deep, Vol. 2" takes the visual and historical presentation of the first volume to a richer level, offering an even broader array of artistic styles and media. Breaking away from the stereotypes that identity folk art and the South with rural, isolated, static and agrarian ways of life, these pages unveil an art that embodies social change and continues to flourish at the dawn of a new century. The African American culture of the South has produced many of the twentieth century’s most innovative art forms. Widely appreciated for its music—from the blues and jazz, to gospel, soul, rock ‘n’ roll—the region has also played host to a less visible but equally important visual art tradition. Self-taught artists—variously termed folk, primitive, visionary, naïve, and outsider—have played a significant role in the history of modernism, yet their contributions have been largely disregarded or forgotten. Again and again in the United States during the past century, vanguard artists found affinities and inspiration in the work of their untutored, marginalized peers and became staunch advocates, embracing them as fellow artists. Taking its title from folklorist William Ferris’s seminal text on Thomas’s work, "The Devil and His Blues" will be the first major institutional solo presentation of James ‘Son Ford’ Thomas’s sculpture to take place since the artist’s death in 1993. The exhibition will include 100 of his unfired clay objects. 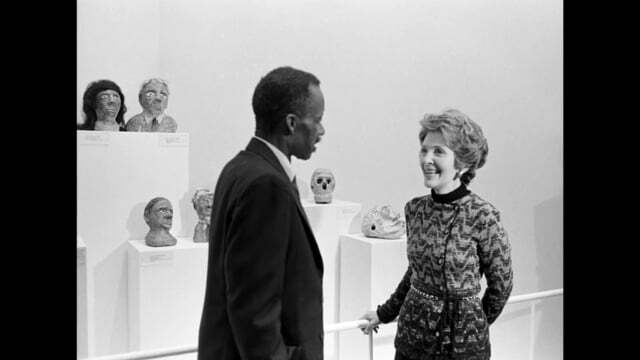 "When the Stars Begin to Fall: Imagination and the American South" queries the category of “outsider” art in relation to contemporary art and black life. With the majority of work having been made between 1964 and 2014, the exhibition brings together a group of thirty-five intergenerational American artists who share an interest in the U.S. South as a location both real and imagined. "Souls Grown Deep: African-American Vernacular Art of the South," a groundbreaking exhibition of over 450 artworks by some 30 contemporary artists, highlighting a significant artistic tradition that has risen in concert with the Civil Rights Movement. This exhibition presents an art form that is universal in its appeal and currency yet highly individuated in its origins within the African-American South. 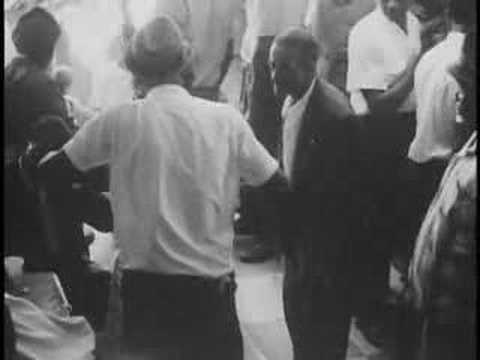 Black and White 16mm documentary film based on fieldwork Bill Ferris conducted with Leland, Mississippi, bluesman and folk artist James "Son" Thomas. Included is footage of Thomas performing at juke houses, his wife preparing dinner, and Thomas making skulls out of clay. The film was made before the advent of 16mm cameras that could take synchronized sound. 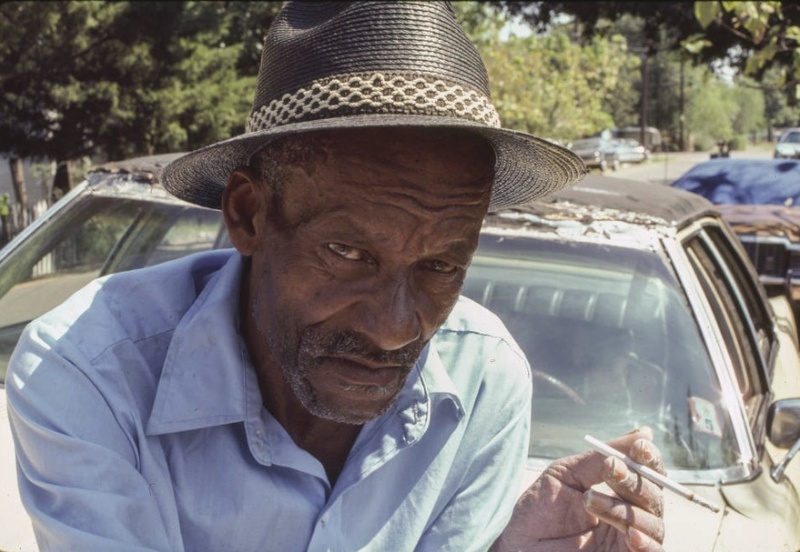 James “Son Ford” Thomas documented by Bill Ferris. Within the vernacular culture, the jook joint provides an example of how African culture endured in the American South. Within the vernacular culture, the jook joint provides an example of how African culture endured in the American South. Possibly derived from "yuka"—which means "to make a noise, to hit or beat" in the ViLi dialect in Zaire—"jook" is a familiar, frequently used word in the South which originated in African languages as did "okra," "tote" (carry), and "jazz." In the vernacular of the African American, "jook" as a verb has come to mean to play the blues or have a good time; the jook joint is a small building where musicians and dancers gather on weekends to party. The jook joint is an appropriate metaphor for the workplace of black artists who nurtured and developed their traditions. Music has always been central to both African and African American cultures. In Africa, traditional singers known as griots both consoled and celebrated their people through music. From childhood, the southern black artist develops traditions that are rooted in ancient memories. Musical forms such as the blues and work chants echo earlier African musics that were part of their Old World culture in Africa. As the artist grows older, traditions such as the blues blossom and become part of the jook joint and its culture. Referred to also as "jook houses" or simply "jooks," they formed what became known among itinerant musicians as the "gut bucket circuit" because chitterlings (pork intestines) were served to customers who came to listen to the blues and dance. Alice Walker captures this world in The Color Purple when Shug, the blues singer, performs in a rural jook joint. 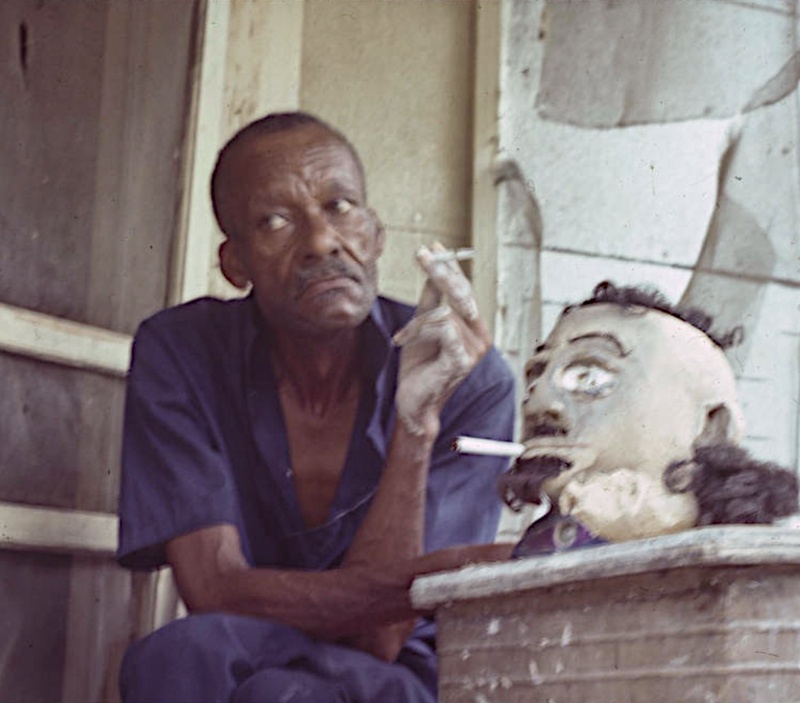 James "Son Ford" Thomas was a storyteller, a blues performer, and a sculptor. 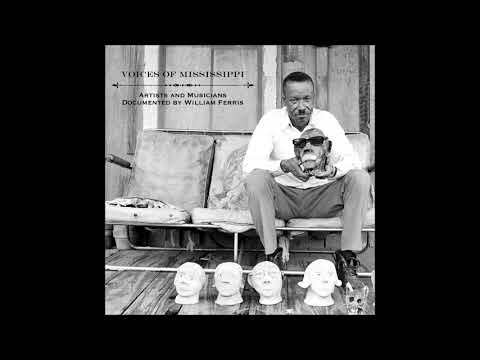 He excelled in each medium and articulated common themes that related to his experiences as a poor black man in the Mississippi Delta, a flat alluvial plain that extends from Memphis, Tennessee, to Vicksburg, Mississippi. As a black man, Thomas lived on the fringe of the powerful white Delta society, and in the black community he learned lessons early that helped him survive. As a child he worked with his grandfather, Eddie Collins, in cotton fields near Eden, Mississippi. Each morning, the white boss checked to make sure that they were working in the fields and then went into town. After his departure, Thomas and his grandfather would put down their hoes and go fishing. Fishing with his grandfather offered an escape from both school and work in the cotton fields, and was Thomas's greatest childhood pleasure. I could sort of have my way with my grandmother . . . if I didn't want to go to school, she wouldn't make me. I could go fishing or hunting or do like I wanted to. I didn't like to go to school too well . . . , and with her I could play sick. She'd put her hand up there on my head and say, "That boy got hot fever I ain't going to let him go to that school and fall down," I'd be feeling good. I'd get back in the bed and I'd grunt around there till school time was over with. Then granddaddy'd get his fishing pole and get ready to go fishing. I'd jump out of bed and say, "I feel a whole lot better now." Thomas's blues music and his sculpture were also territories of freedom in which he could express himself openly. He first explored these worlds as a child and seldom played with other children. Alone at his grandparents' home, Thomas began playing with clay and discovered a love for the medium that later revealed itself in his sculpture: "Most of the time when I was young, I never did fool with no boys or nothing. I mostly played by myself. I never did play with too many children I never did fool with too many boys because I was always busy. Just anything would run across my mind, I'd do it. I was always around the house making fish nets, or molding clay, or something." As art engaged his childhood imagination, so, too, did music. His grandparents had a wind-up gramophone that entertained neighbors who visited their home to hear blues come from the mysterious box. Thomas's grandfather was afraid of the gramophone and suspected that as it played music, the box was also telling his boss what was happening in their home: "A long time ago all we had to play records on was those graphophones because we didn't have no electric [electricity] My granddaddy he was kind of scared of it when it first come out, you know. He was scared to play it. He'd say, 'You play that thing in the house, and it'll start telling the bossman what's going on.' He'd holler to me, 'Cut that damn thing out, or the bossman will come!'" On weekends as a child, Thomas played guitar with his grandfather. His grandmother played piano, and when she and her husband performed together on weekends, their music drew large crowds to their home. The grandparents' music, nestled in the intimacy of their home as it was, set the stage for Thomas's career as a blues artist: "He [the grandfather] played old records [songs] further back than we can go. He played them old-time blues. You know, he used to keep a gang around the house all the time. He'd play guitar and tell funny jokes, and it'd be just like we was selling whiskey, there'd be so many people there." When he was eight years old, Thomas first learned to play guitar from his uncle, Joe Cooper, who marked the guitar's neck with a pencil to show where he should place his fingers on the strings to form chords. He soon began to play blues in a small cafe in Yazoo City and drew so many people he had to stand on the counter to play: "After I learned how to make a couple of chords, why I could beat him [his uncle, Joe Cooper]. And then he started charging me fifty cents or a dollar to play his guitar. He wouldn't let me play his guitar lessen [unless] I paid him back So when he'd go to work, his wife would let me play his guitar. I'd play until noon. Then when he'd come in, I'd quit, and I'd start back playing again at one o'clock I learned to play real good that way"
The blues has been out so long, you know, you can't hardly tell where it started at all. My granddaddy, he was about seventy-five years old when he died, and I used to hear him talk about the blues. Well, there must have been blues before his time, because there was blues when he was a boy. You can't never tell about that. I think there always was the blues. They come from the country, I believe. You take a long time ago, you see, you'd catch fellows out in the field plowing a mule. You'd hear them way down in the field late in the evening . . . You'd hear them singing the blues. That's why I say blues come from the country. Back where I lived in Yazoo County they wouldn't hardly know who you was talking about if you'd go over there and ask for James Henry Thomas. But if you say "Son Ford" they would know because they give me that name when I was going to school. I used to make little Ford tractors out of clay. I'd put me some sticks through there [as axles] and make me some wheels and let it dry and then I'd have something to roll across the floor: That was back in 1937 when they first started calling me "Thirty-seven Ford," and then they started calling me just regular "Ford" from then on. So I said if I ever record records, I'd have it put in, "Sonny Ford." That's so all my friends would know who I was. This [his sculpture] is all done by head, not by no book or no picture. I have never went to school to do this. No teacher has ever taught me nothing about it. My Uncle Joe was the first person that showed me. He started me off molding. But he never did make nothing but little mules and stuff like that. If my uncle had kept on he probably could do as good as me. But now I doubt whether he could make anything. . . . I tried the same thing that he tried and I done pretty good on it, so I took it oven It wasn't too hard to me to catch on. I just kept on trying until I got perfect on it. A lot of days I would be by myself and I'd walk two or three miles to get me some clay and I'd come back home and sit up by the fireplace at night and make things until I got sleepy. I got where I could make mules, and rabbits, and squirrels, and things like that, and from that I went to making birds. Thomas began to sculpt quail, and his work reminded blacks of the traditional rule that only whites could kill the game birds. Quail were reserved for privileged whites who hunted them with trained bird dogs; this restricted hunting of quail reinforced racial codes that supported a caste system based on race in the rural South: "This is a quail I made here. In Mississippi the white people didn't want the colored people to eat no quail. See, they had more meat than other birds . . . better meat. So I don't care if you had a license for hunting, you couldn't kill no quail and let it be known. You could kill blackbirds, but if you killed a quail, it was just like you done shot somebody"
That was when I was a little-bitty boy going to school—I'd say about six years old. That's how I got my school money. My grandmother and granddaddy would work a whole week for two dollars, so they wasn't able to buy none of that stuff for me. So I made this sculpturing to buy me crayons, pencils, paper; and all like that. I'd sell the things that looked good enough around the neighborhood where we lived at. And so after I got grown I liked to be doing it, and I just kept going. The highest I ever sold was when I was small, one day I sold some horses and I got three dollars for them. A fellow from Vicksburg was over at Eden and I had them horses in a box. He said, "Where'd you get them little horses?" He said, "I'll give you three dollars for them." Well that sounded big then, and I just handed him the whole box. So I would wind up making more than my grandmother and granddaddy and I was just sitting at the house sculpturing. When I heard some of them old songs, I was a young boy, see. I'd slip around to those dances and I'd hear them old-time blues. They'd [there would] be house parties back in the hills, out in the country. That's what you call jook houses. Those are them old raggedy houses way back out in the country. We didn't have but one night to have a good time, see, so we'd stay up all Saturday night and try to get some rest on Sunday. All in the late hours of the night you could hear those guitars. You could hear them for three miles either way. In the small smoke-filled jook joints, the attraction between the sexes was almost palpable, reinforced by the music and the dancing. These scenes made a lasting impression on the young Thomas: "And they used to do the Cakewalk, but now if you come down to a Saturday-night dance, they just want the Slow Drag. And, you know, every time a man's back is turned to his girlfriend or wife, he's whistling at another woman. . . . That's the way it does down in Mississippi." I wasn't allowed at night clubs but I would slip out on a Saturday night, and Elmore James played all night long. That was north of Yazoo City on 49 East. I'd slip down there and play with Elmore and Sonny Boy Williams. Sonny Boy Williams, he didn't like me to play Elmore's guitar; but Elmore, he didn't care. He'd let me play long as I'd want to, and Sonny Boy would set on the stage and roll his eyes. You know, the blues is nothing but the devil. . . . I always say that when I decide to join a church, I'll lay all them blues aside. . . . You can't carry both of it on. Saturday night you can't go over to Greenville and play the blues at a nightclub over there, then come Sunday morning call yourself a church member. . . . That's what you call going too far wrong. You can't serve the Lord and the devil too. You can only serve one at a time. While preachers criticized bluesmen for singing the devil's music, Thomas felt that the blues performer was consistent in telling the truth as he saw it. Preachers, on the other hand, delivered a pious message on Sunday, but the remainder of the week pursued the same venal interests as their parishioners: "And you can't always go by what them preachers say, because right now some of them drink more whiskey than me. Some of them preachers ain't living for nothing but money and some chicken and a nice-looking woman. That's all they're living for." Through the blues, Thomas connected with his feelings and expressed them in his music. Blues became a metaphor for the profound grief that connected him to his people. He sang for enthusiastic audiences who clearly heard his message and felt it with their hearts. When his music connected on this level, he called it by name: "I get a feeling out of the blues. That may be because I been worried a lot. See, my first wife quit me and I had the blues ever since then. Any time you get lonesome, you want to hear some blues. . . . That's how the blues started. You get worried over some thing, what you call a deep study . . . that's the blues." But you can't when I go home. . . .
That's the starting of a song and from there on you can put in anything else you want From then on you can just skip around and do what you want to do. You get you some more verses and put them together and mix them all up You just sit down and they'll come to you. I went to Tchula once. A lady wanted me to play for her and we went northeast of Tchula, way out in the country. So they got to fighting up there that night. A fellow went and got some shotguns and came back and started shooting down toward the house. So that lady didn't have no husband. She got her shotgun and went out in the yard and she started shooting back at them. She ran two men away with that shotgun. Both of them had guns. I never will forget that. I never would come back there 'cause there's danger of getting shot in the face when there's a lot of people dancing and there's shooting in the house. You don't know what's going to happen. Lots of people got killed like that. On Saturday nights, that would usually be the night I'd come to Leland. I'd get off the bus and go and see my mother and sister there. Then I would go round to Shelby's club and he'd have boys around there playing the guitar I'd go around and play some with them and then come back to the house. Shelby was a big man then. He had plenty of money. He'd hold his head way high then and talk loud. He'd have men hanging around there playing the guitar and everybody'd meet up there on Sunday for big jokes and drinking. They'd have a nice time round there. He said, "I'm gonner play a number" "What's your name?" I said, "Go on. I know you." I knowed who he was. So he went on that stage and everybody liked him. I said, "Buddy, when you come back through here, you stop." I would go to Cairo, but the water too high for me. The girl I love, she got washed away. He really rapped it. Everybody liked it Every time folks see me, "Hey, man, you seen Cairo?" "No, but he'll be here tonight." They sure did come. They liked to hear him play, and he could play all them kind of blues. I loved the blues all my life. That's all I ever liked. Peoples, tell me how do you do. Well we just come out this evening. Just make a welcome with you. Well it's all on the counter. People, it's all on the shelf. People you can't find it nowhere else. You know we got to go. People, you know we got to go. You will see the same old show. When I do my sculpturing work, things just roll across my mind. Like I see a picture in a magazine or on television, and that's what I'll go by. Sometimes I may not get it direct [exact], but I make it as far as I can remember on it. I look at the picture to get the future of it better. The future . . . that means if I was going to make a man that looked just like you, that would recollect you. The futures come in dreams. The dreams just come to me. I lay down and dream about the sculpture I'm liable to dream anything. That gives you in your head what to do. Then you get up and try. If you can't hold it in your head, you can't do it in your hand. I make a face first, then make me a skull. First I shape it up like a regular man's head. Then I cut it down to a skeleton head. . . . Your eyes are on a level with your ears. They can't be a bit higher than your ears and they can't be no lower They got to be the same level your ears is and that's why you don't have no trouble making glasses. . . . So I go back to where I done mashed up there with the eyes, and that's automatic the nose. A skull has got to be ugly because it's nothing but bones and teeth. People are more likely to be interested in something like that than they would be in a bird. They'd rather see a skull. Then too, a lot of people have never seen a real skull and they're probably wondering how it will be when they die. They say, "Will I be in the same shape that skull there is in?" Most of the white people, they don't believe in hoodoo. But it is something. It's got to be. I got that way once. I was small and my grandmother she'd make me sleep on this cot that we'd got from some white people. I just couldn't rest on that cot. I'd see all kinds of men and little boys and everything coming up around that cot and hitting me. And I heard my grandmother and them whispering and saying they believed I was going to die the way I was carrying on. So they finally got rid of that cot. And I didn't feel that way no more. My granddaddy was scared of dead folks, and one night he had stayed up late. He came in and lit him a match to light the lamp and, first thing, he looked in the skeleton's face. Instead of pulling the globe off the lamp, he jumped and dropped the globe and run into my room and told me, said, "Boy, you get this thing out of my house and don't bring another in here. I already can't rest at night for spooks now." 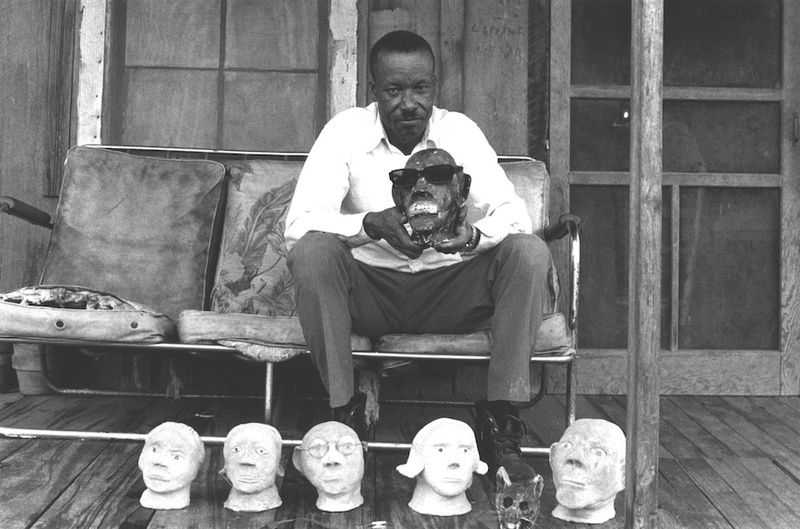 James Thomas's clay skulls and faces were displayed in the home of Shelby "Poppa Jazz" Brown, where Thomas played blues on weekends. Like Thomas's skulls, the jook joint and the blues music performed there on weekends have a strong aesthetic tie with African and Afro-Caribbean cultures. In the black community, brightly colored, hand-painted signs on interior and exterior walls vividly distinguished the jook joints. 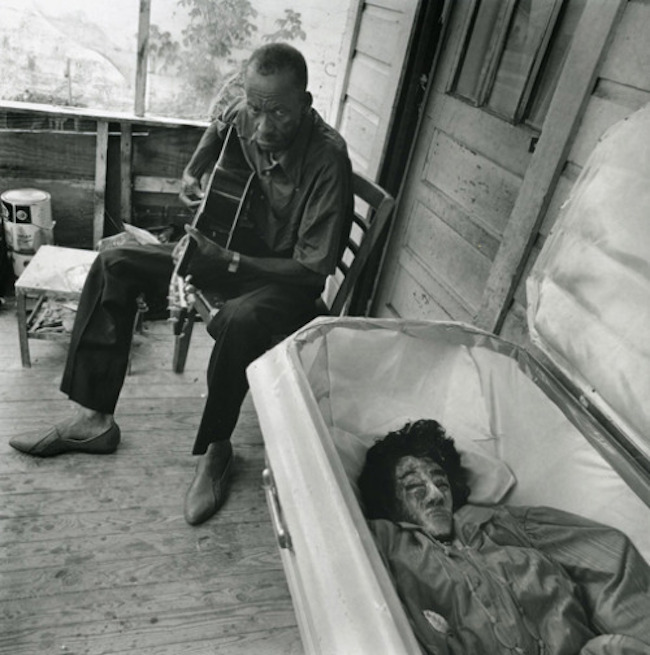 As a blues performer and sculptor, James Thomas was never comfortable with the church. He joked about an old blues man who, when warned that he should change his ways lest he die in sin, replied, "I'm gonner jook forty years more and then join the church." Thomas always lived outside the church. From childhood, he seems to have been headed toward the blues and sculpture. He focused his creative energy on blues and sculpture, suggesting a clear cultural choice in his life. His blues and sculpture were both at home in the jook joint, where they created a familiar environment of sound and images for his community.